Previously seen on Ladies, this is my section of the Valentines Day baseball post. This is the size of my heart you are allowed to break. This is the game I will attend come April when you are in town. 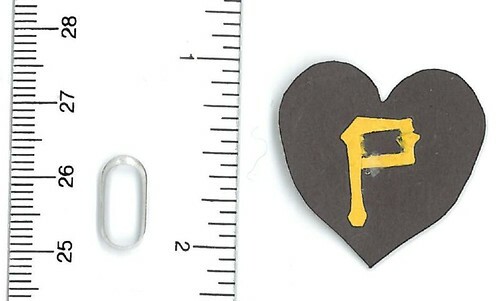 This is the heart not for baseball, but for Britcher who still loves the Buccos. This is the color of black. ~ by Sarah Sprague on February 14, 2008.